Great memory Helen....my family has very few photos early on...many years we had none...but the pics we do have are amazing...your day really knew how to think ahead ! Thanks, Liz. My father was a wonderful archivist. 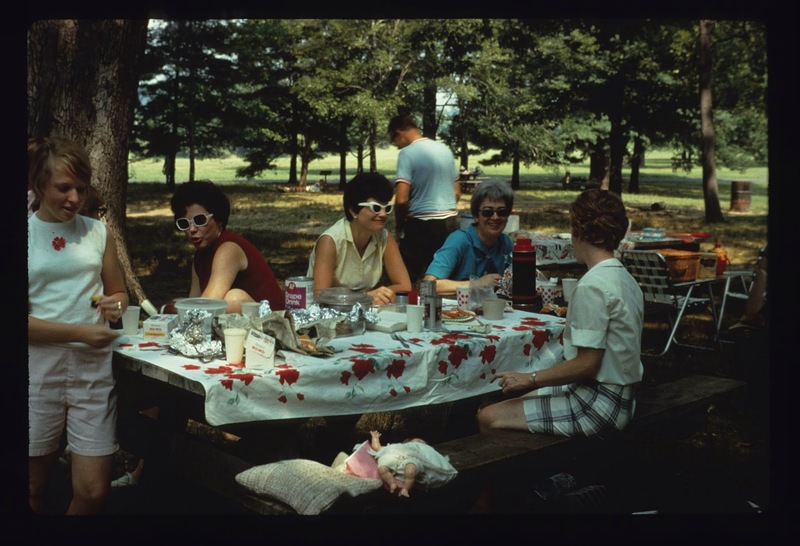 He had the foresight to use Kodachrome slide film which was longest lasting, making it into the next century. We just had his tin boxfuls copied at Dijifi in Brooklyn, a truly wonderful resource. Love the accompanying copy to your photo. I so enjoy the old hard copy Kodak prints. Your picture is positively vintage...and aren't they all? Hard to believe it's been 45 yrs. My husband and I were headed north yesterday afternoon, an hour's drive to Bethlehem N.H. to see our NYC friends. We were so wrapped up in talking about the past we forgot the speed limit abruptly drops from 55 to 30 & were pulled over by a local cop with a radar gun. Then we couldn't find the registration. Of course my husband was getting stressed but when the cop pulled us over, my husband answered honstly when asked if he "knew why (he)pulled us over"? I think my husband's honesty & good driving record (when did THAT happen?) got him off the hook. The guy let us go with a warning. Either that or...we're old & he figured "what the hell". How did everything go by so fast? Congrats on wrangling goodwill from a trooper! Yes--when did that, when did it ALL happen, @California Girl? Glad to have Kodachrome evidence of past era. Our future selves will have to make do with vintage FB posts. Shoot! I am not 'anonymous'. Perhaps 'clueless'. It's your doppelganger. Ha, thanks for checking in, Ms. D. I didn't have a Villager blouse--or any name brand clothing in those days. My mother sewed most of our clothes, working at night after we kids went to bed. I am gobsmacked by her industrious, now. I did, however, have a circle pin. Nyah, nyah.